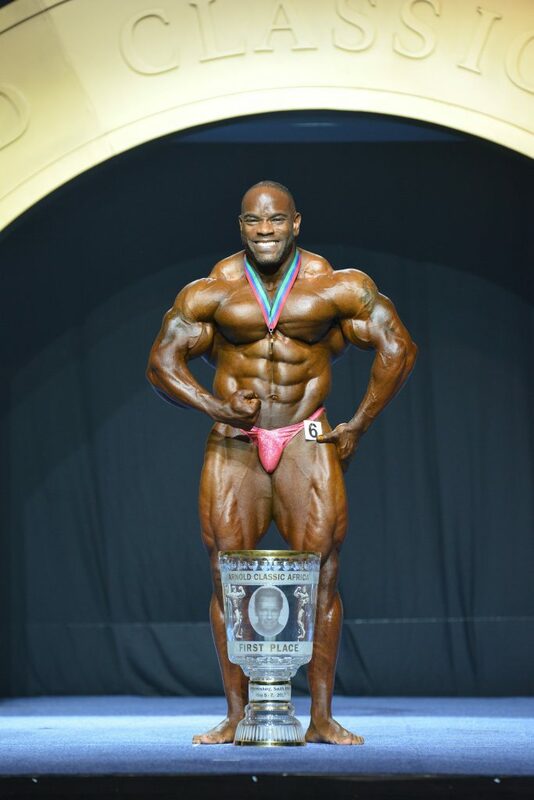 JOHANNESBURG, South Africa (May 11, 2017) – Johnnie O. Jackson of Fort Worth, Texas won his fifth career IFBB Pro League title when he took home the 2017 Arnold Classic Africa crown on May 7 in Johannesburg. Jackson won the contest over second-place Michael Lockett and third-place Juan ‘Diesel” Morel, both of the United States. Two weeks earlier, Jackson (fourth), Lockett (third) and Morel (second) had all finished in the top four of the Arnold Classic South America behind winner Lukas Osladil. Also finishing in the top 10 at the Arnold Classic Africa were: Victor Martinez of the Dominican Republic, fourth; Ibrahim Fahim of Kuwait, fifth; Jeff Beckham of USA, sixth; Tomas Kaspar of Czech Republic, seventh; Earl Abrahams of South Africa, eighth; Sulaiman Al Tarkait of Kuwait, ninth; and Derek Upshaw of USA, tenth. Veteran competitor Regiane Da Silva of Germany, who has announced that she will retire at the end of the 2017 season, took home first place in Pro Fitness at the 2017 Arnold Classic Africa. Derina Wilson of the USA had one of her most impressive performances with a career-best second place finish. Diana Monteiro of Brasil was third. 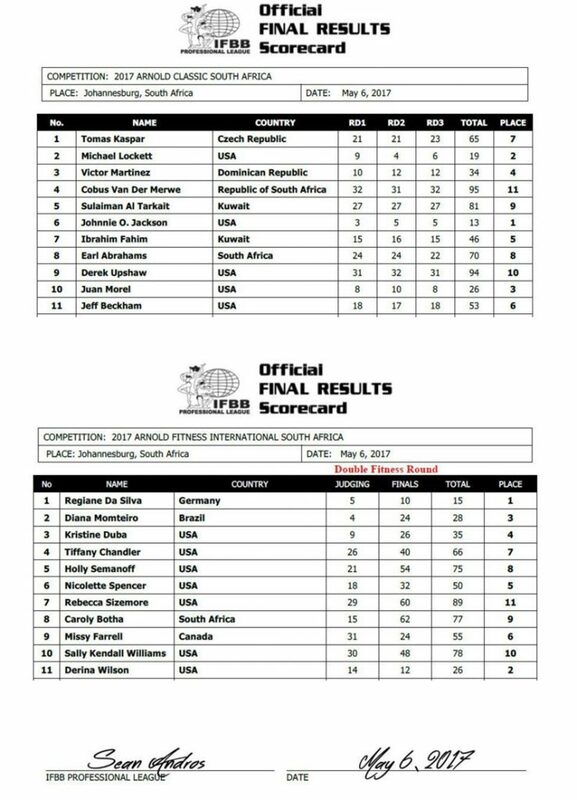 Also finishing in the top 10 were: Kristine Duba of USA, fourth; Nicolette Spencer of USA, fifth; Missy Farrell of Canada, sixth; Tiffany Chandler of USA, seventh; Holly Semanoff of USA, eighth; Caroly Botha of South Africa, ninth; and Sally Kendall Williams of USA, tenth.